A true crime investigation docuseries about a strange new app that could change the universe. Forever. "InstaGod" is a true docupod series about what Alex discovered and how it will forever leave a mark on the infinite universe we call home. He documented everything with his handy recorder. It's as real as it gets in the first part of the premiere episode. 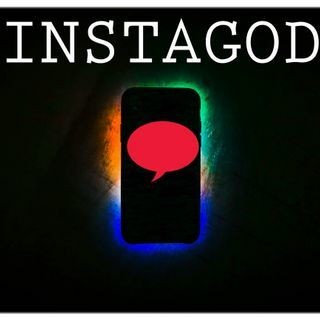 InstaGod takes all of the organic elements of podcasting and creates an amalgamation of improvisation, audio drama, ... See More real-time mockumentary dialogue, philosophical existentialism, and tries to answer the questions humanity has pondered since the beginning of time. Serialsly. Making a murdering docupod was like an American crime story!